Growing spiritually means connecting with your true essence, not covering up the real you. This week’s Torah portion is “Vayikra” (Leviticus 1:1–5:26) and with it we begin reading the book of Leviticus. The book of Leviticus in general, and this week’s Torah portion in particular, are primarily about the offerings and sacrifices that were brought in the Tabernacle and later in the Holy Temple. One of the rules when offering a “meal offering” (think pancakes, or “malawach” if you’re really exotic) is that one was forbidden to add honey (or other sweetener) or any leavening agent to the mix. The meal offering was essentially only flour, water, and oil. That’s right, the meal offerings were essentially a form of matzah all year long! There was one ingredient, however, that was absolutely required: salt. As the verse says: “You shall salt every meal offering with salt.” No salt? No good. The question is asked: why are sweeteners and leavening agents completely forbidden while salt is completely required? It is explained that sweetening and leaving agents enhance a food. They make a food taste better than it is meant to be as is. Although they serve a good purpose they are essentially masking and hiding the true taste and texture of a food. Salt, on the other hand, brings out the inherent taste of a food. It embellishes the natural taste of a food making the natural taste more dominant. We add sugar to coffee because the coffee is too bitter without the sugar. The sugar masks or lessens the bitter taste. But when we salt a piece of meat, we cause the natural flavor of the meat to be more dominant. This dynamic symbolizes a person’s spiritual journey. When pursuing a spiritual path or seeking to closeness with God, a person must find the right “salt” to bring out the best in oneself and contribute to one’s growth. Don’t fool yourself or others with honey, sugar and other “sweeteners” that might hide the real you. Doing so will ensure you will fail to reach your goals. A person must be true to himself in everything he does. That’s what growth is: salting oneself to get out the best of one’s essence. For more insights by Rabbi Enkin on this week’s Torah portion, click on the links below. SPRING PLANTING TIME IS HERE. 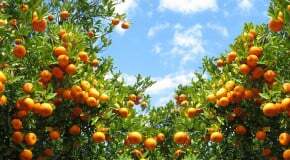 Make the Land of Israel Even More Beautiful by Planting Fruit Trees Today! 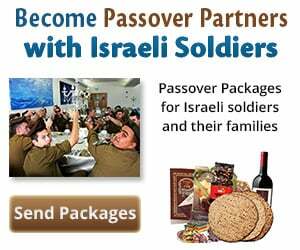 JOIN ISRAEL’S MASSIVE SPRING PLANTING! 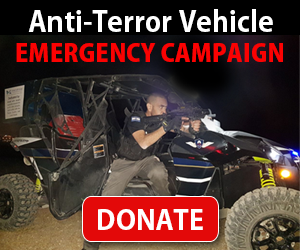 This spring, more than ever, Israeli farmers need your help to recover from destructive Hamas arson fires. 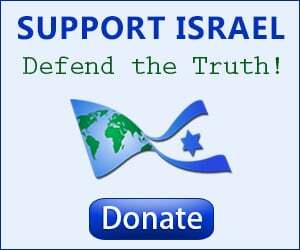 CLICK HERE TO PLANT FRUIT TREES IN ISRAEL TODAY! The Torah Says: Remember to Destroy Amalek! Happy Purim! What's All the Celebrating Really About?